Answer : My dear child, I Am Jesus and I talk to you now from the heart of Love and through the unconditional Love. I Am your brother, your son, your teacher, your enlightener, your guide... I am you and you are me into infinity. It is my delight to talk more extensively about the descent of the I AM Presence which is closely linked to your own enlightenment and to your awakening on a pure, enlightened level. The moment that your I AM Presence makes itself known to you and starts the process of his/her return towards your Earthly form and aspect, the physical spirit is in a state of consciousness that enables the recollecting of everything into the unity that you are. This recollection boils down to a certain reblending of all your Earthly aspects and your Galactic aspects with your higher Light and with your essence, which is your I AM Presence, the highest degree and essence of your existence. The enlightenment that I experienced in a previous life and that I have shown on Mount Sinai is indeed a process that is comparable to what you are now going through as it will provide an enormous enlightenment on an inner level and also on an outer level through your physical body. You are radiating such purety where no single thought can exist in nor can it be formed. It is a pure state of Being which accepts, becomes and then radiates out the purety of the Light of your Being. You are becoming pure Light of consciousness in your Earthly shape which will gradually transmute your embodiment into Light. The descent of the I AM Presence is the purety, it is your pure enlightened state that you embody, that you shape and that you are and you are going to reflect and radiate that in front of others. Be aware that this implies a very deep and intense process which requires a lot of time and adjustments for your physical body. However, once that you are that pure state of consciousness again you are able to radiate it in the blink of an eye and you can transform your physical body into your descended I AM Presence and you can remain in that state if you so choose. I have just described the process that many of you are now up against and going through. It will entail many challenges in order to convert all the old familiar, obsolete levels of consciousness into a more thoughtless state of Being. It requires a lot of patience and adaptations to reach that certain state of Being without ego involvement, without thoughts, without expectations and even without words ; a state of Being where you just ARE. Everything IS, no implications and no analysis of what something or someone is. There is only a way of Being that takes on the expression in his/her consciousness and that shapes you to who you now are in this Eartly form and beyond. The all-embracing key of this message is that each and everyone of you is a frequency of Being which vibrates with each one's variation of expressions and creations. The key to reaching this state of Being is to discard everything you have ever created, clearing the way energetically to where it once came from. To Be implies a state of consciousness where everything and everyone simultaneously radiates and vibrates identically the same. So dare to let go, dare to throw all overboard, even the most pleasant, comfortable ideas, feelings, patterns and creations. Dare to just Be and nothing else and this will facilitate the descent of your I AM Presence into your state of consciousness. My turning into a Lightbeing on Mount Sinai was the completion of the descent of my I AM Presence where I reached a unity and where the creation of the individual and the embodiment no longer were necessary. This process awaits each and everyone of you in your own specific Divine Timing. Let's start with the first steps that are the integration of your highest consciousness and your original state of being, which is your I AM Presence. Steps 1 and 2 of integration and activation respectively are now taking place and this has everything to do with the descent of the I AM Presence, which is moving into your subconsciousness but also in the Etheric embodiment of yours, namely the level of the spiritual body, the outer level of your etheric layer around your physical form. This process will move quickly into the other levels as well reaching your physical embodiment. Gradually you will begin to dwell more and more in a state of continual bliss and in a frequency of Love but simultaneously you will have the urge to disconnect yourself more and more from large crowds of people and from the disturbances still prevalent on this planet. By all means withdraw yourself when you feel the need to and do not get distracted from your heart center. Being compassionate doesn't mean that you have to go along in a situation thereby feeding it; quite the contrary. Being compassionate sees every human and soul as an intrinsic part of his/herself where you have feelings for and share love with. Consider each other as real brothers and sisters for that is exactly what you are. We were all born from the All That Is, so we all have the same mother and father to use an Earthly analogy. I Am Jesus and I feel unconditional Love for all of you. 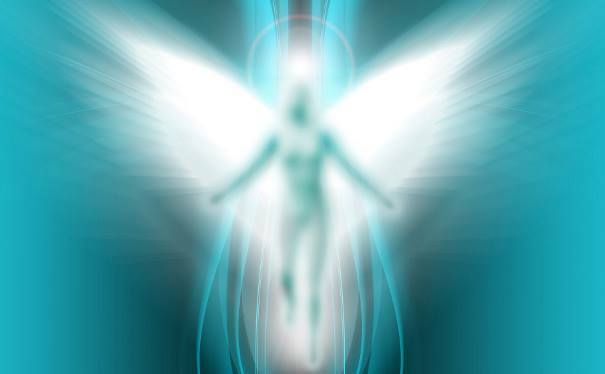 My beloved humans, this is I, Archangel Raphael speaking to you. This is a new message that I am bringing to you and with it we are concluding a past series of messages by which I have informed you repeatedly about ascension, health and your activities pertaining to these topics. Now we shall choose some new direction. And this has been already explained a bit by my brother Archangel Michael in his message of this week. And here I am to continue this new line. As you know meanwhile human mankind here on earth has made great progress so that we may now direct our focus towards other matters. Our focus is as always on ascension, is still the ascending human being yet we shall add here still another component to our endeavours which will give the entire undertaking still even some more interesting touch. As announced already you will obtain some dispensation from our all Creator. This has been announced already and now I want to explain you this piece of information in a bit more detailed way. With this dispensation you will be liberated from everything which was made for you extraordinarily in order to learn your lessons here on earth. This again comprises everything that you have decided yourselves – e.g. which lessons you wanted to have for your learning – before you incarnated here on earth. In order to learn all these lessons in some optimum way and mode you have been endowed with various restrictions, impediments, sorts of illness, situations of your family etc. so that you may be able to learn accordingly in your surrounding of duality. Time to learn has passed by now and now there will come that period when you may be able to enjoy your life in full way! And thereby I mean the following: All these restrictions and problems described above in a very short and simple mode will just be omitted in next days and weeks – since one or some others like this channel have already experienced it. And all this will include difficulties, many a sickness or pains and other matters so long lived-through and experienced and thus you will be able to regain your full potential of resources and strength. You will be put into the very position to live a carefree life again and you will proceed to the “Antichambre” of Ascension. And there in that spot you will receive some kind of foretaste of what is expecting you after ascension. Since then afterwards expect please matters like peace, happiness, success, wealth and many other benefits of wellbeing. Be set and prepared to receive all these presents and to enjoy this very new sensation of living. However, we shall take all this on in some stepwise activity since all these dispensations may not be resolved all of a sudden push but will arrive step wisely at your level of earth-reality. If it were otherwise there would be too much for your to digest all these events and such process would not be exactly to the purpose of it. And moreover one would want to properly enjoy newly gained liberties one by one and all at the same time. This will be your experience now step by step and you becoming aware of it in such way ! Regarding these upcoming changes I ask you urgently to accept everything with gratitude and I shall accompany you when you ask me to. My brothers and sisters and I – we all are at your side if you invite us to you. We shall assist and help you to enjoy and make proper use of all these newly re-gained liberties in due time. Be prepared for all these changes and do you know why? Because all these changes will not take place sole with you in some direct and personal way but will spread with its dynamic effect all over your globe. Karma of groups and karma of individuals will be also resolved leading to the very consequence that healing will occur on all levels. This will be for all of us such a most wonderful experience when we may observe when light will spread over all areas of Gaia and wash away even the very last remainders of all darker spots! I shall return to you next week and will supply many more details about the above. There are many reports still to be submitted to you and we shall be allowed to mutually experience everything step by step with you. For Light has arrived at its target – has returned home and now has come the very time to progress a step forward in the process of human ascension and its beautiful planet Earth ! With so much Love to all of you humans.